We're raising funds the regular old car expenses that can be hard for working people to cover, but which are especially hard in the middle of a social justice struggle. 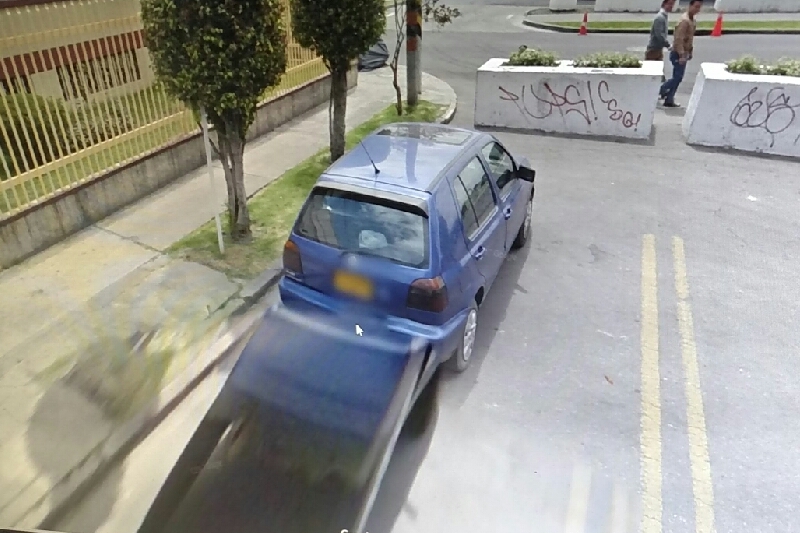 We're hoping to raise $500 to cover car insurance for the next year, the Bogota equivalent of DEQ testing, replacement of bald tires with some used-but-better-condition tires, and some suspension system repairs. This car is the beater that the injured Colombian GM workers were able to get when Jorge's truck was stolen (in a politically motivated attempt to disappear the workers' documents). It is essential to the struggle primarily as the means for the workers to bring drinking water to the tent encampment. And as we know, water is life. The photo is from google earth. That's right, when you search for the U.S. Embassy in Colombia, the tent encampment and this beater of a car show up. Help us keep the beater rolling on. La lucha sigue!